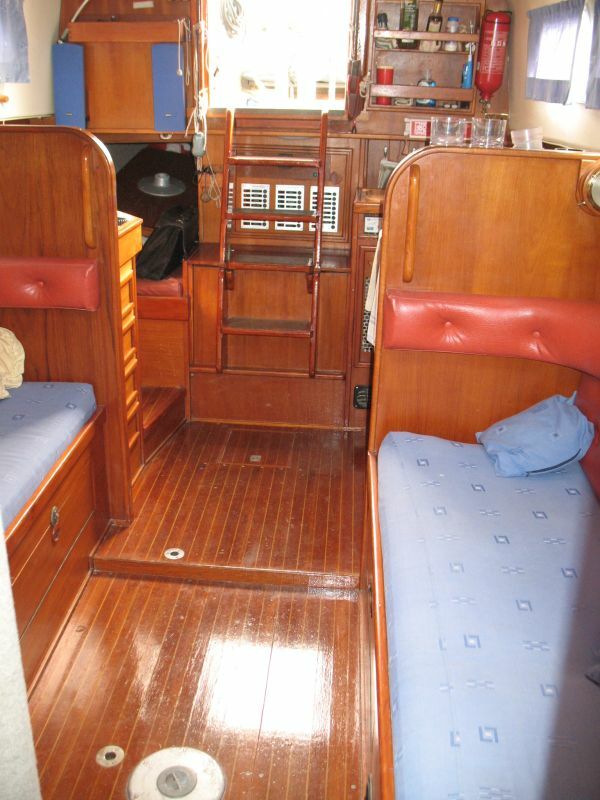 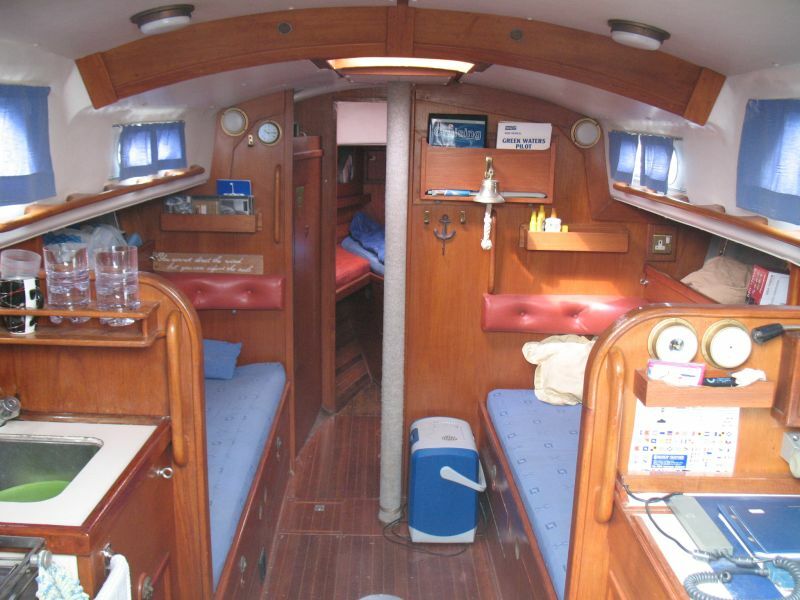 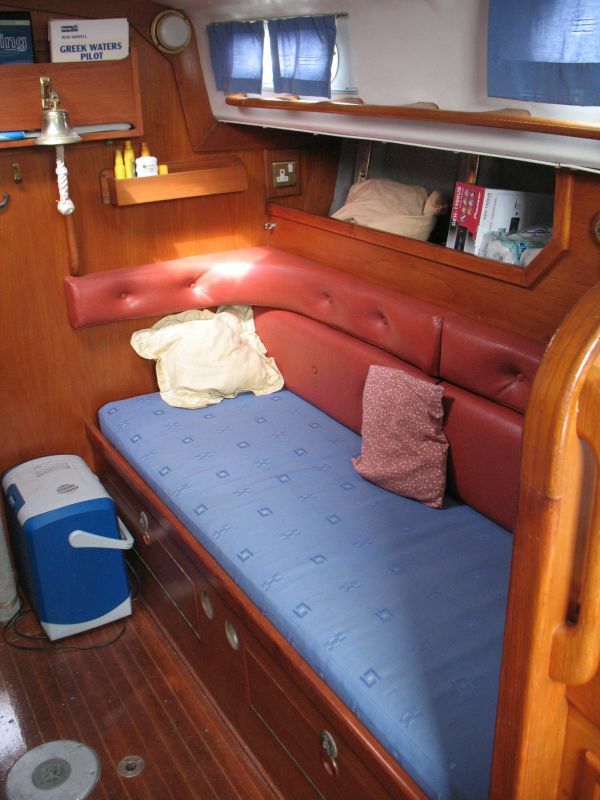 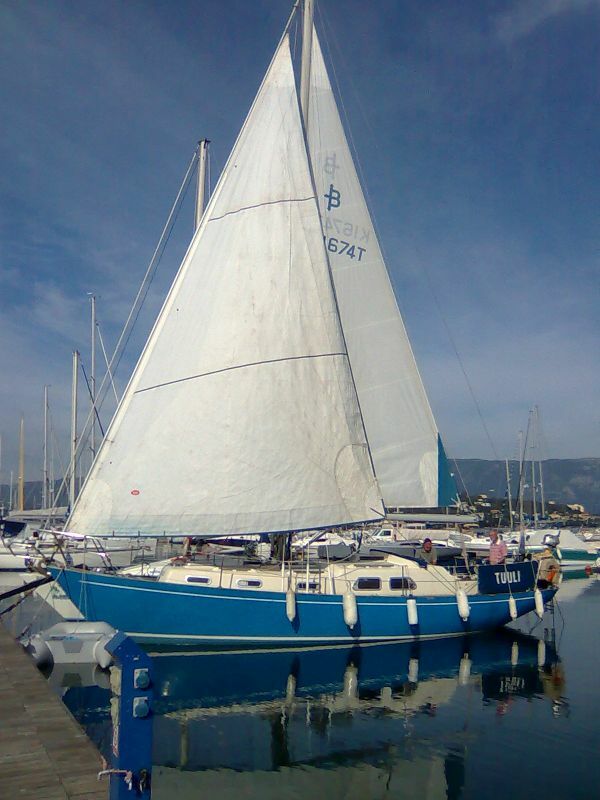 This Barbican 35 for sale in Corfu is a genuine classic long keel cruising sloop. 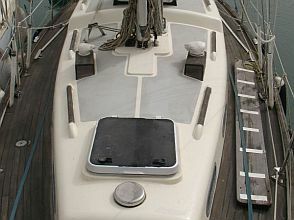 Her sleek lines from the board of Holman and Pye give a clear indication of her performance and sea keeping abilities. 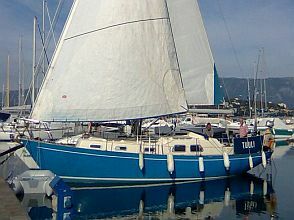 She benefits from a replacement engine and is well cared for by her present owner. 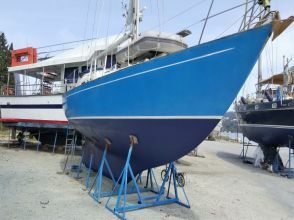 A very positive recent survey reflects she is well found so is ready for new owners to step aboard and cruise in a pedigree offshore design that will look after you at sea. 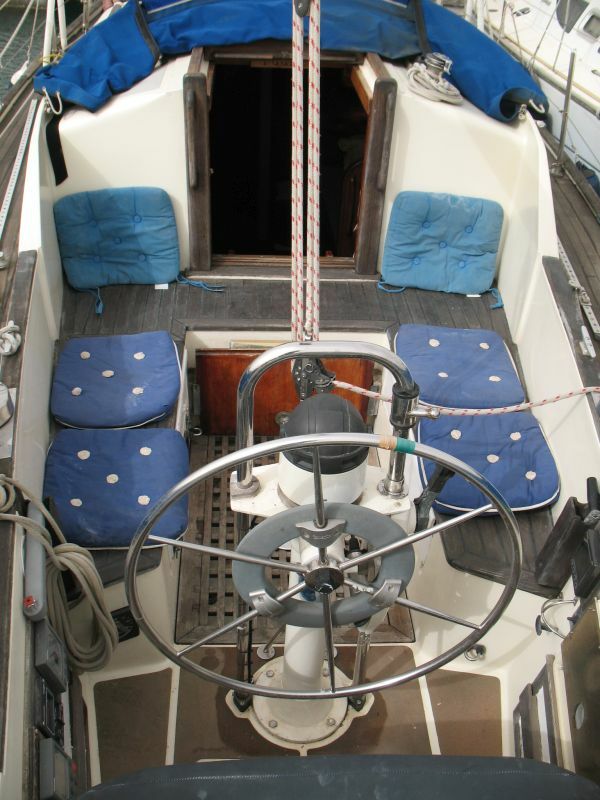 The Barbican 35 has an attractive raised bow giving her the purposeful look to match her offshore capabilities. 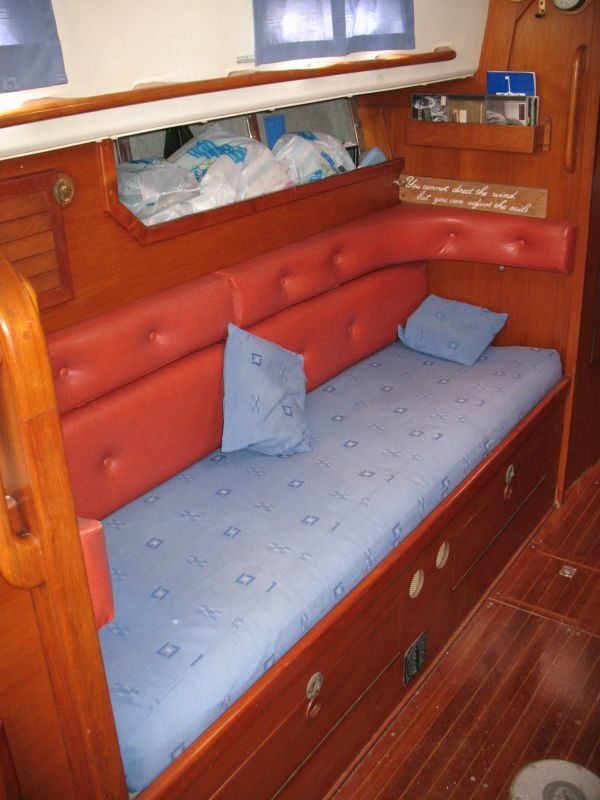 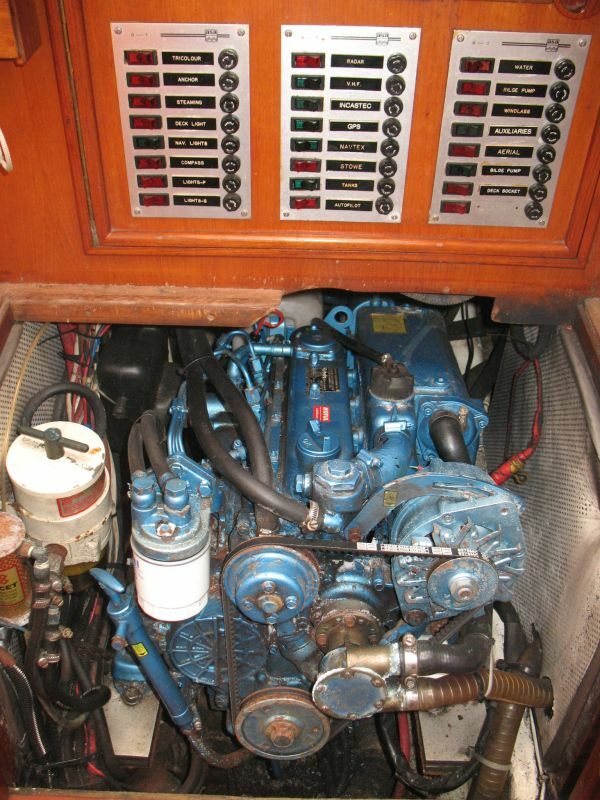 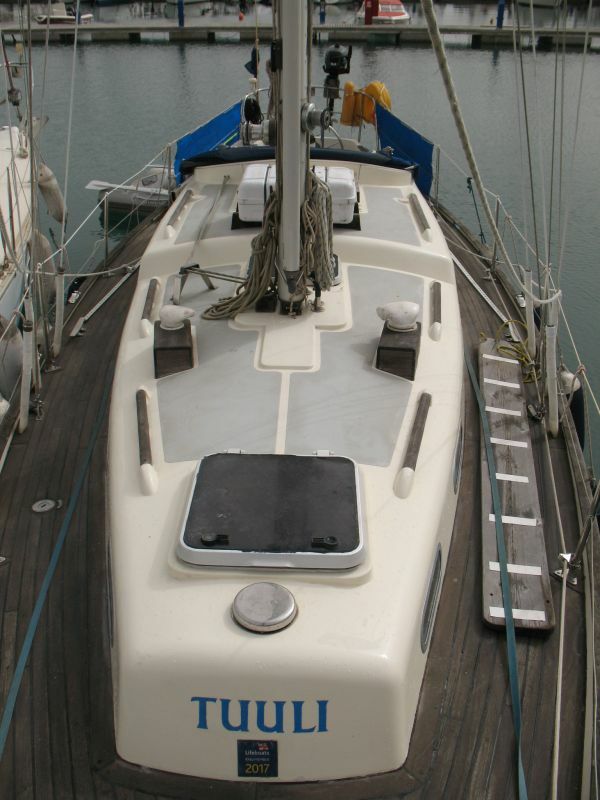 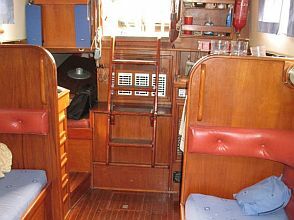 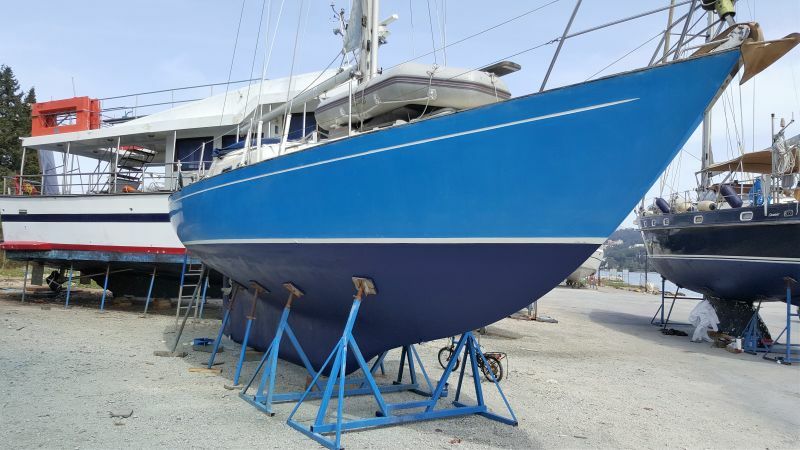 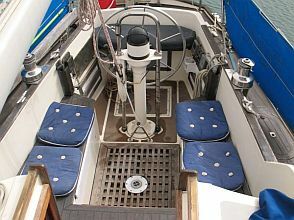 Her long encapsulated keel combined with her deep secure cockpit add to the feeling of a bluewater cruiser. 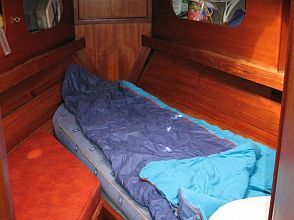 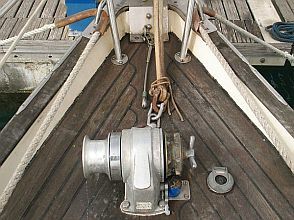 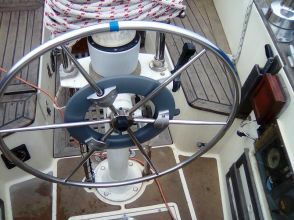 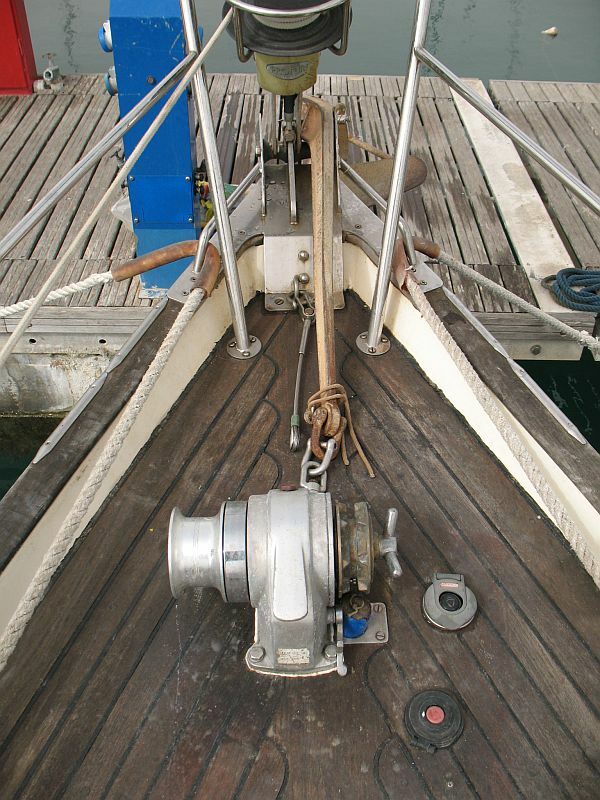 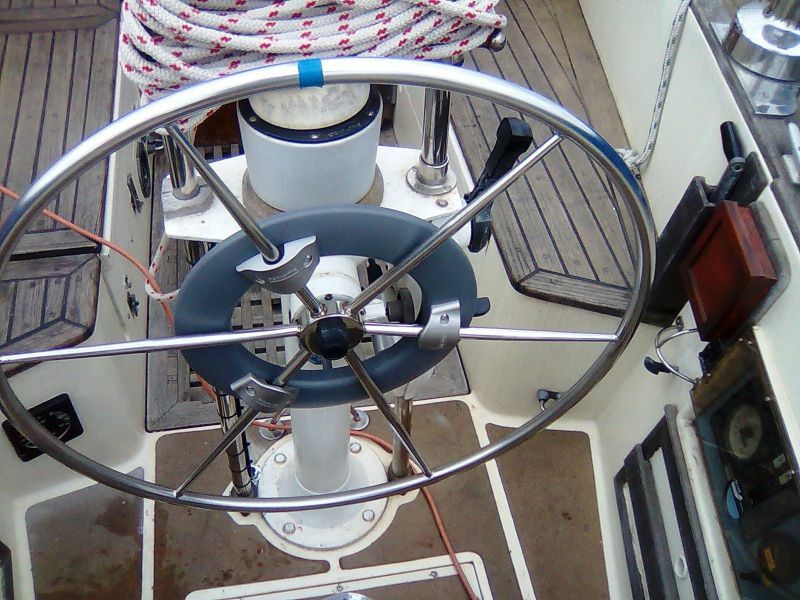 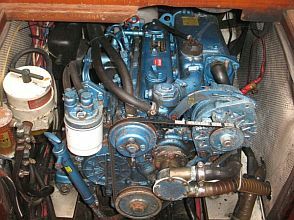 This example has an in-mast furling mainsail to aid shorthanded sailing and her foredeck has a recently overhauled electric windlass. 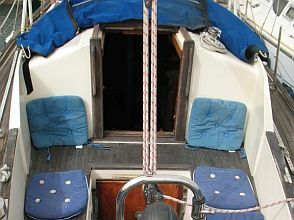 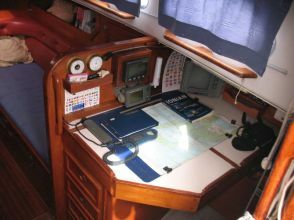 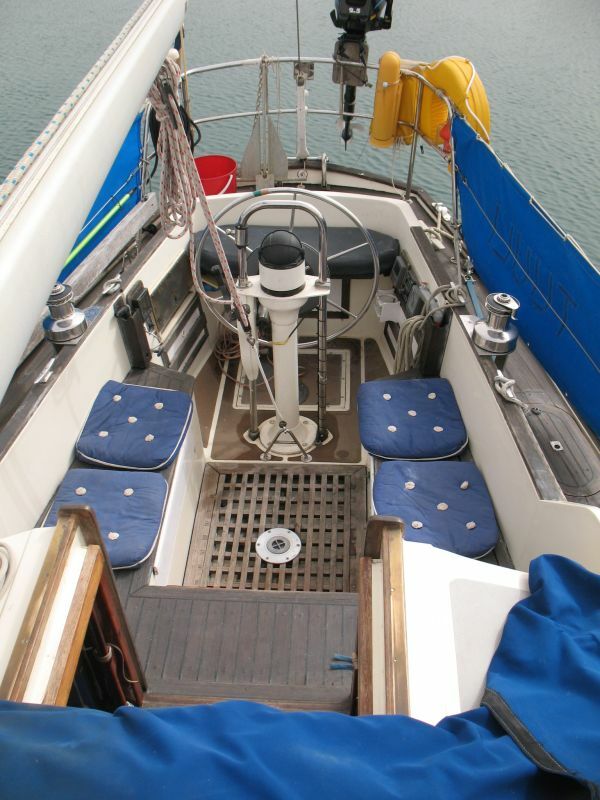 Descending the companionway steps a chart table and navigation area it starboard with a quarterberth running aft. 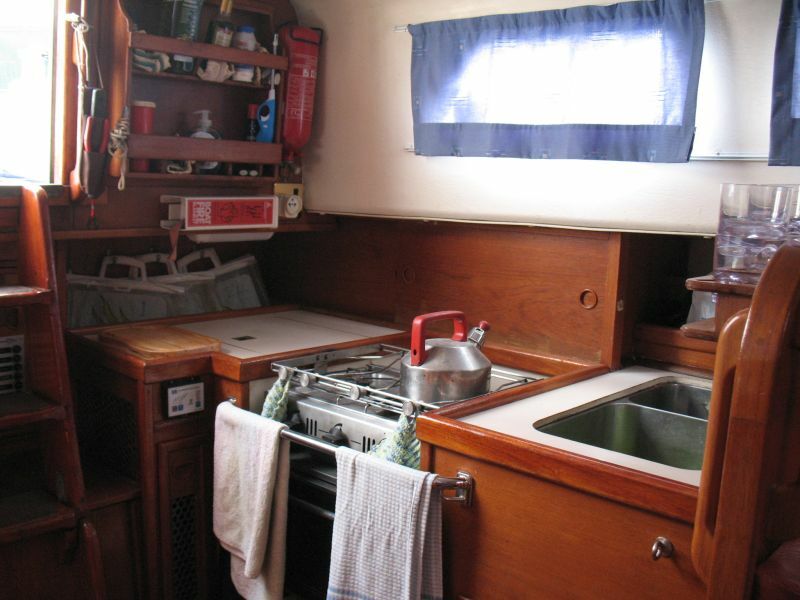 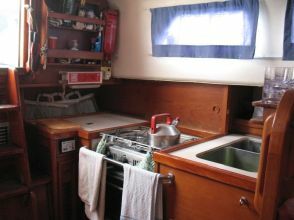 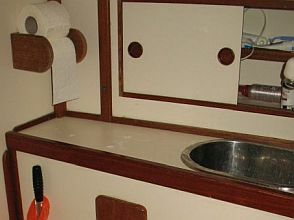 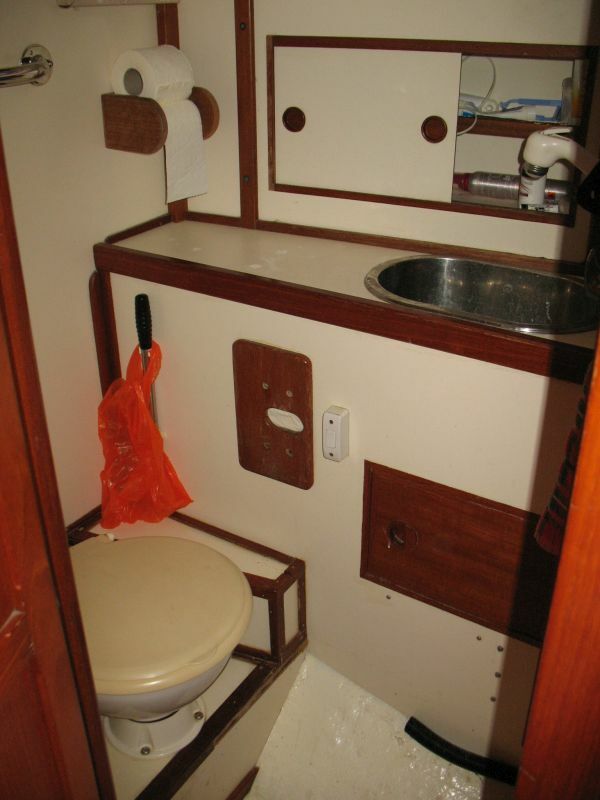 Opposite to port is a practical galley. 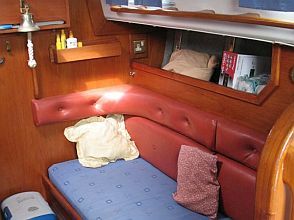 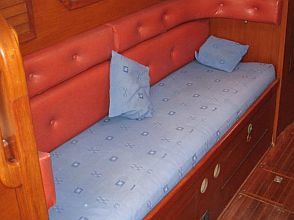 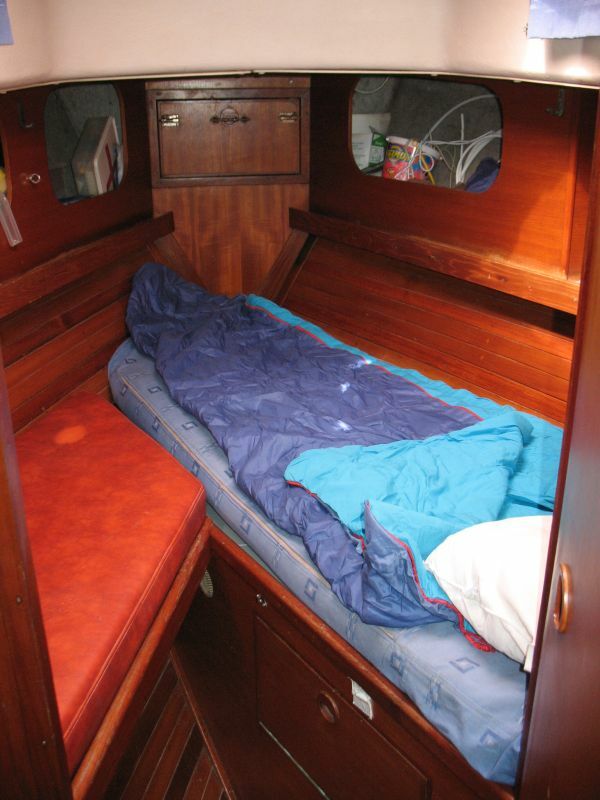 Two straight settees oppose each other across the saloon and of course make practical sea berths whilst on passage. 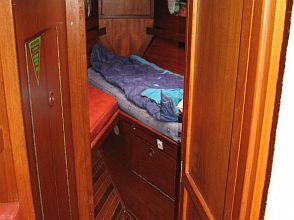 A walk-thru at the forward end of the saloon has a heads /shower compartment to starboard and practical stowage opposite to port. 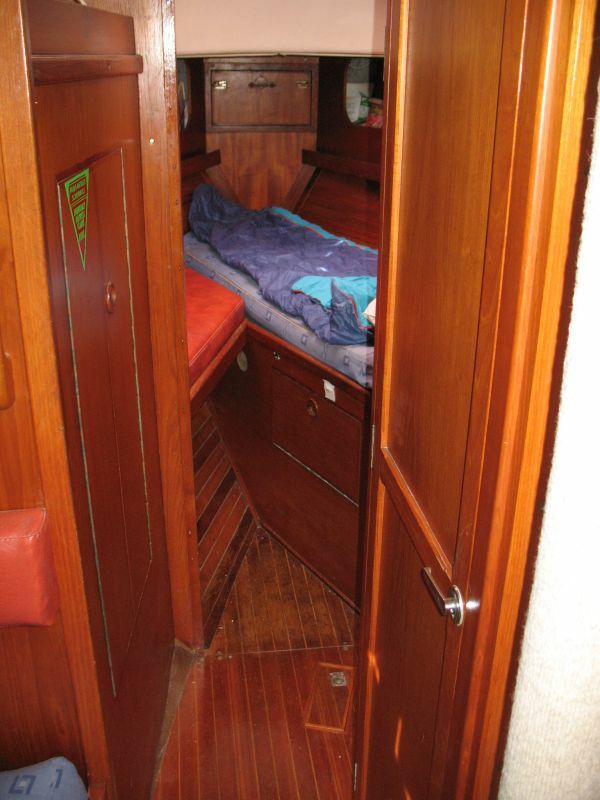 The forepeak area houses a twin cabin. 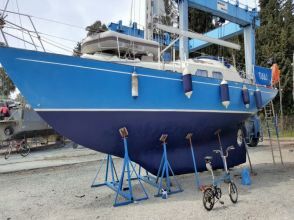 This Barbican 35 is a very attractive offshore cruiser that has cruised extensively from the UK and around the Med but latterly only locally in Corfu. 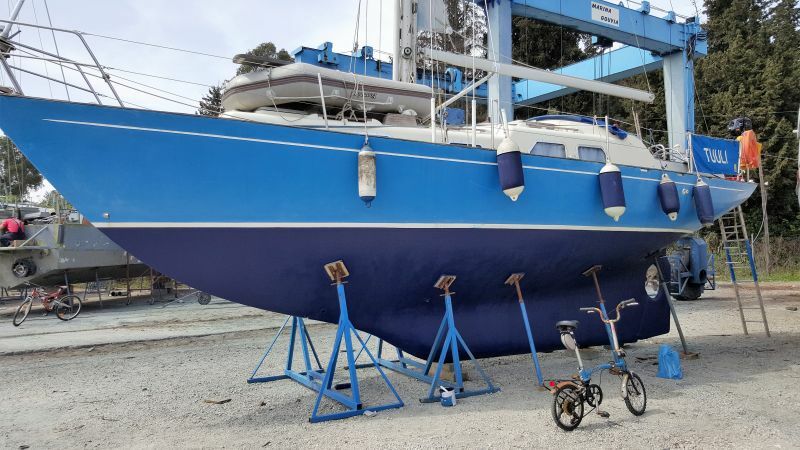 She is now ready for new owner's to continue their own cruising adventure!